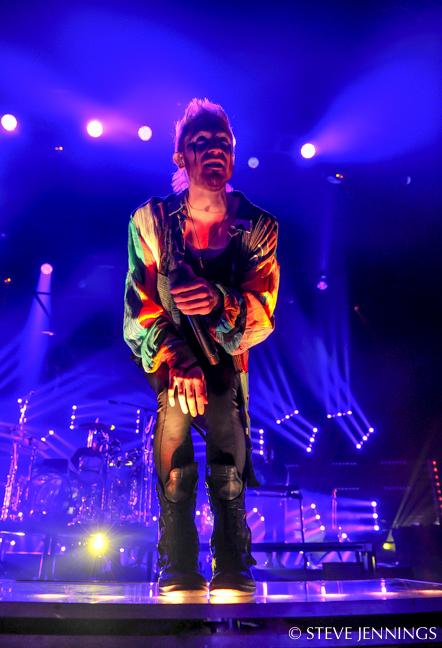 Creative directors Jeremy Lechterman and Jackson Gallagher of FragmentNine (Alt-J, Lana Del Ray, OAR) have the “Press Restart Tour” from Walk The Moon out on the road. 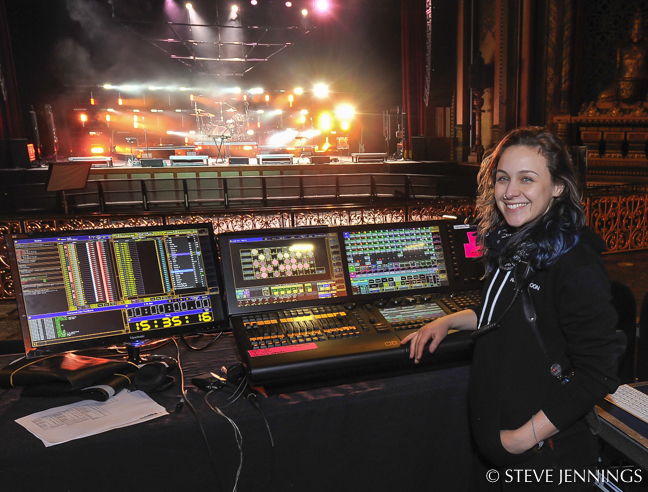 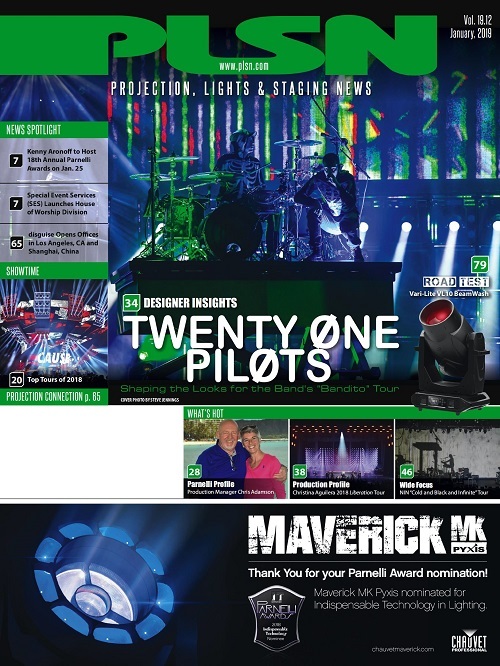 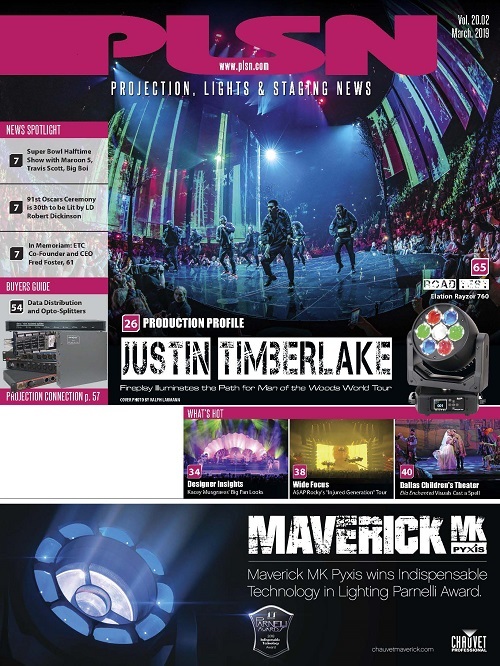 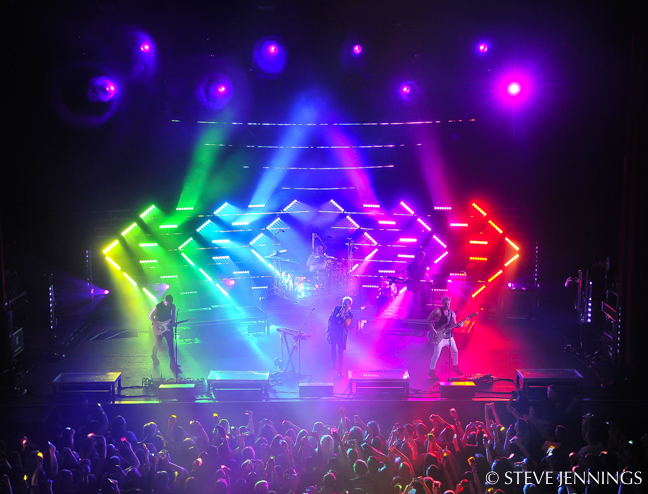 We spoke with them and lighting director Allison “Blue” Siegel (Misterwives, Mike Posner, American Authors) about the current tour design. 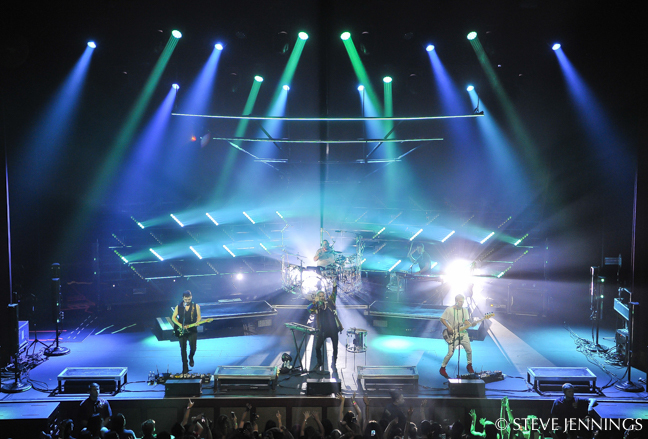 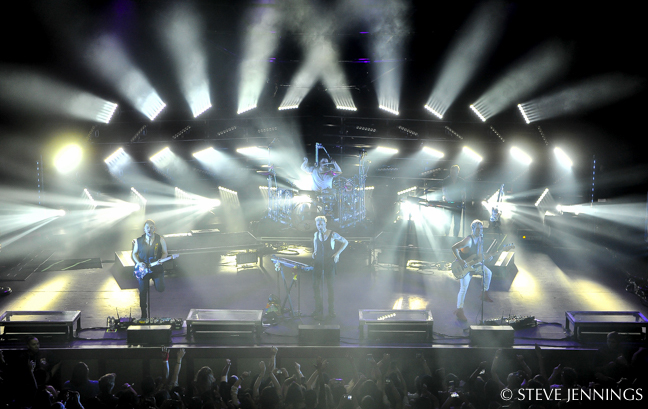 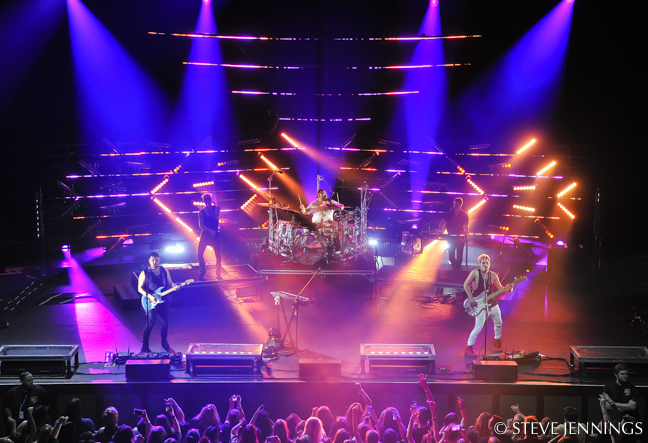 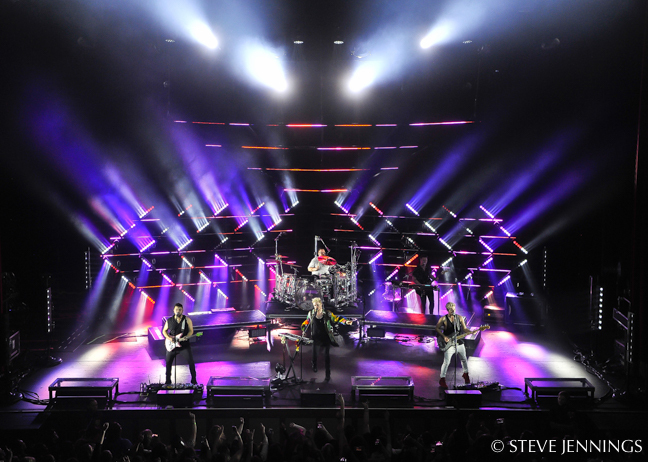 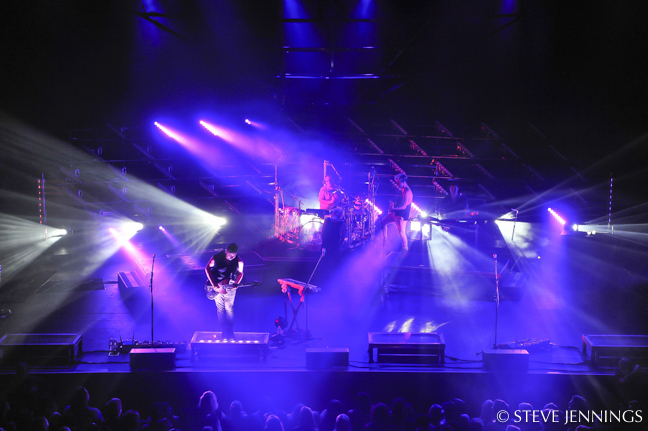 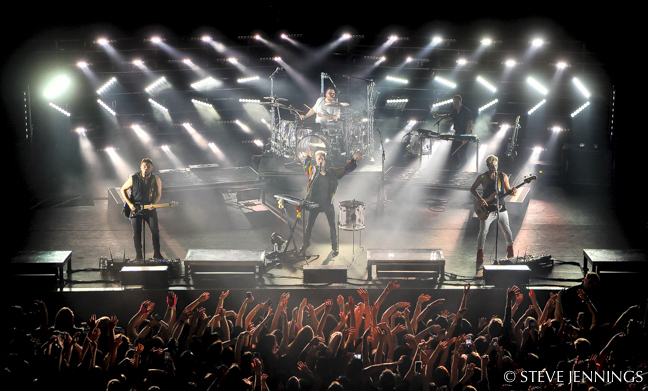 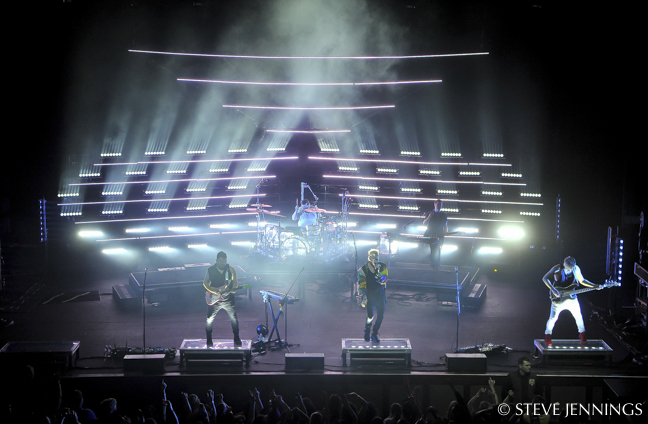 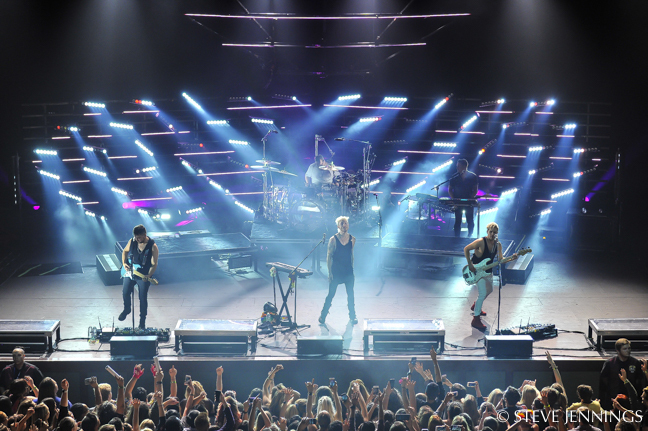 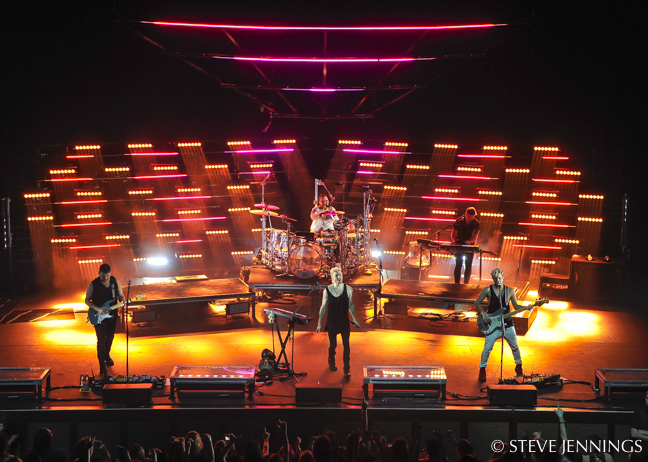 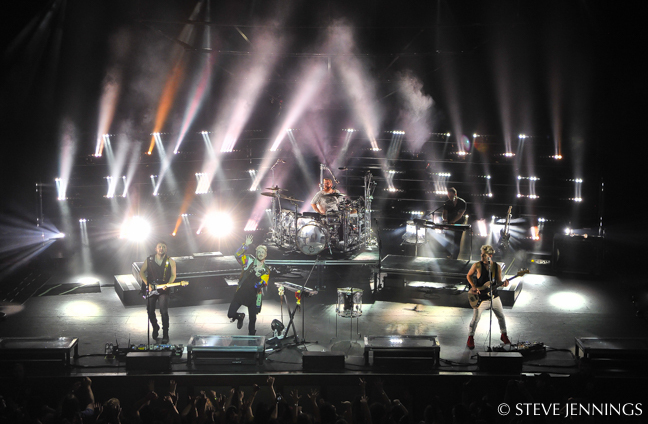 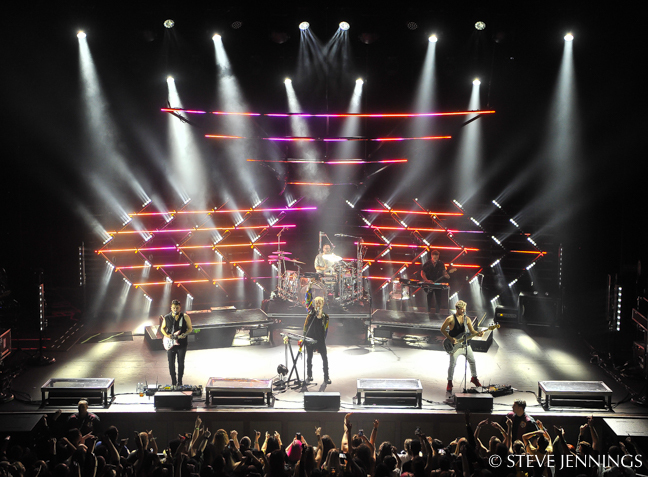 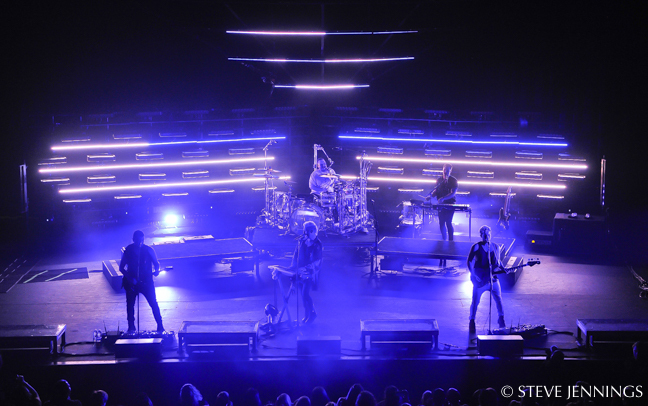 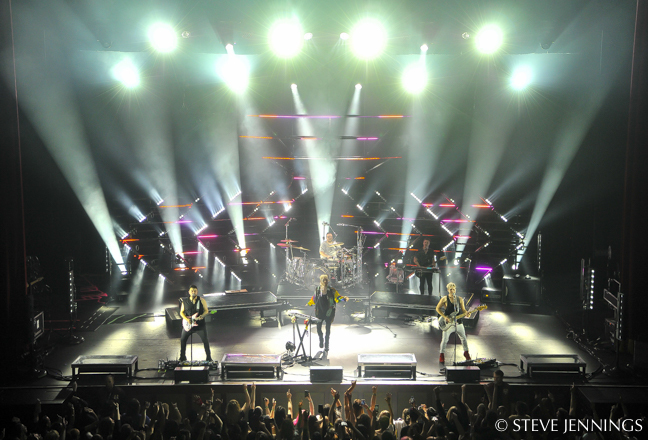 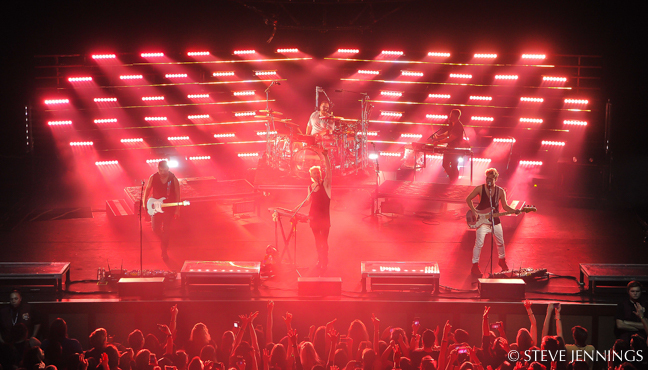 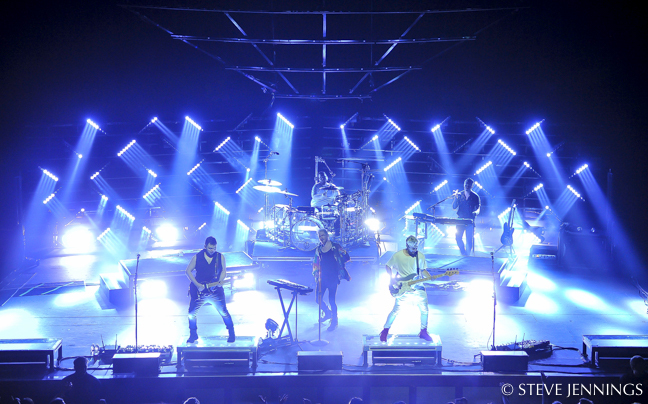 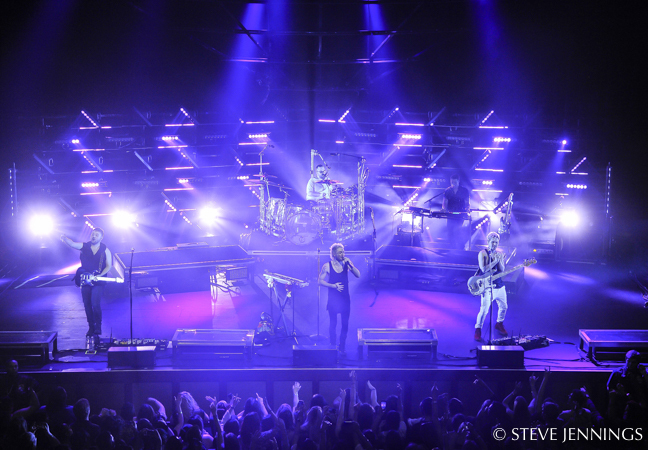 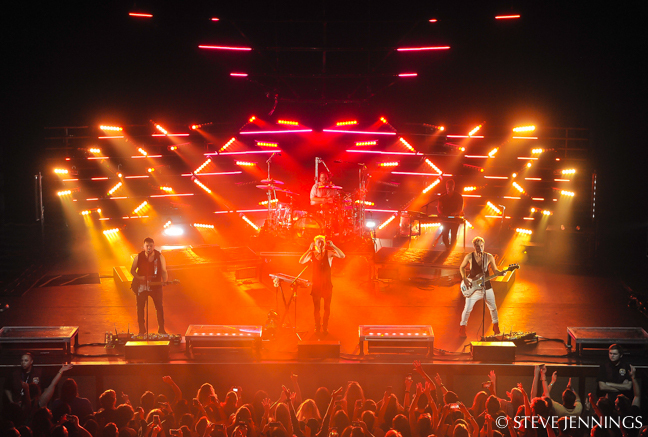 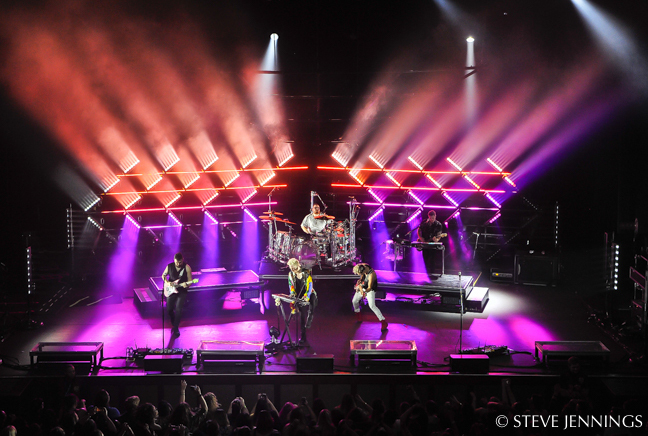 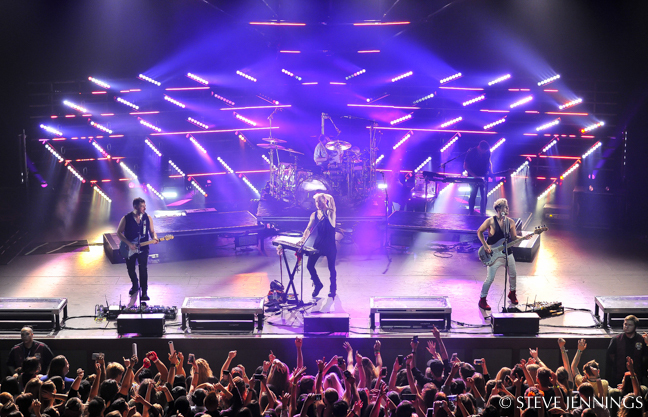 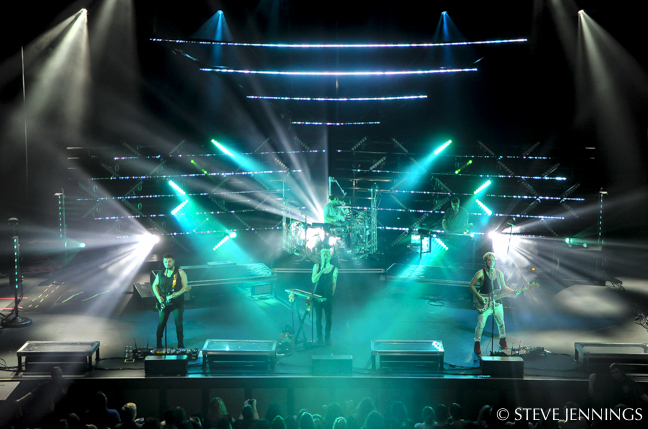 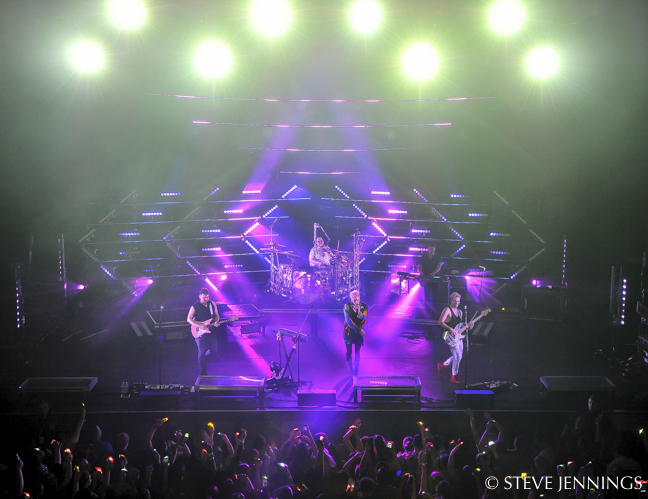 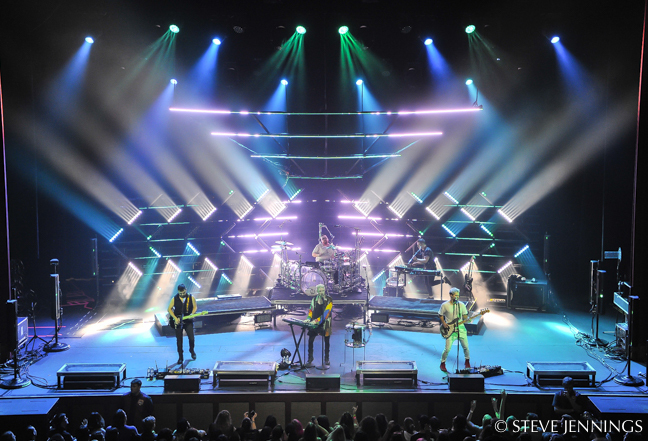 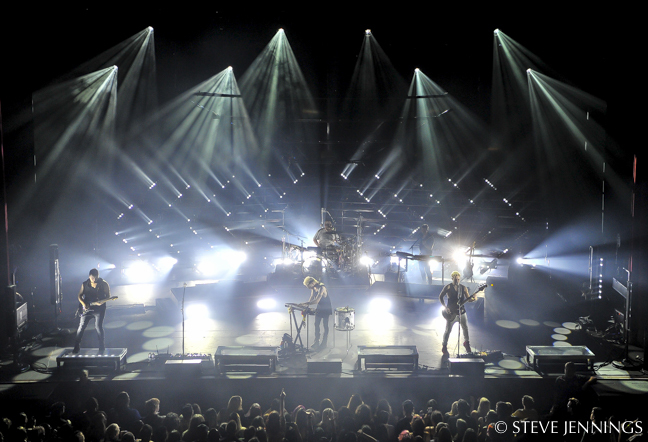 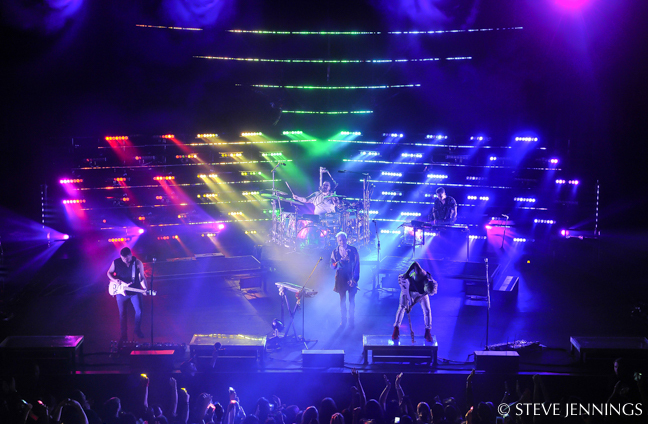 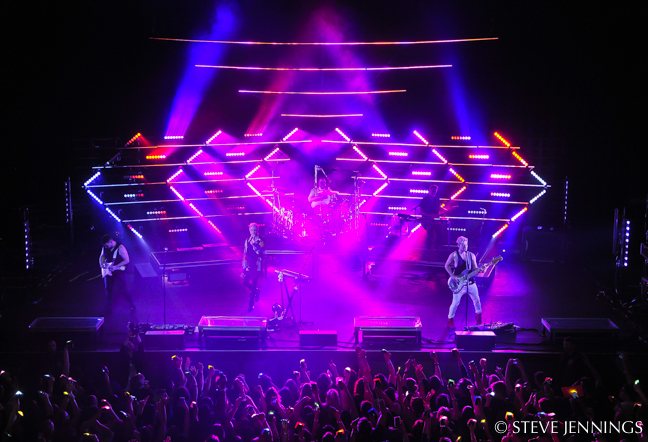 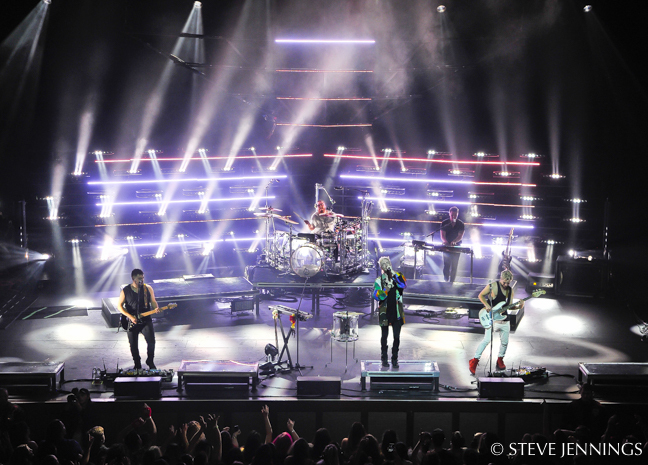 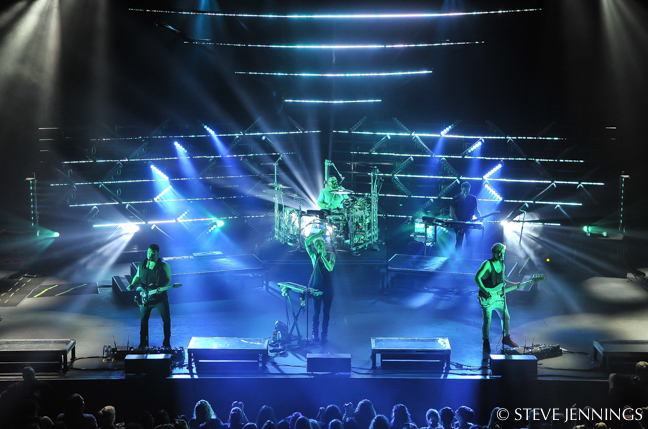 Jeremy Lechterman and Jackson Gallagher of FragmentNine went through several iterations in Walk The Moon’s design, involving mirrors and projection before arriving at the current tour design. 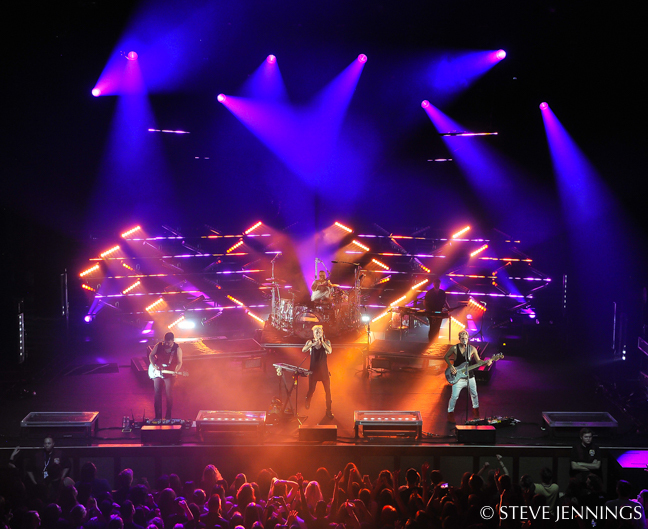 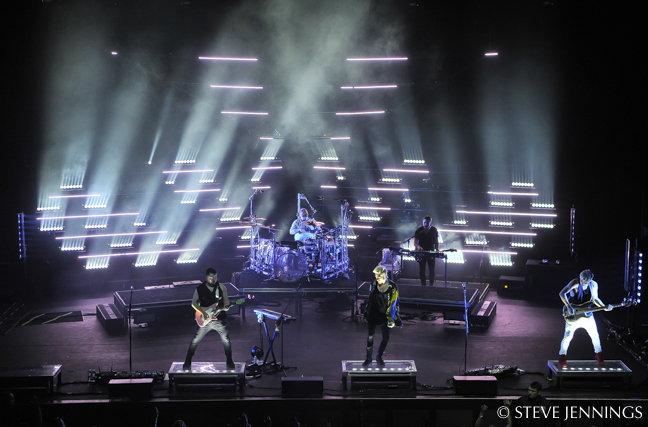 The focus of the design was to incorporate the band’s iconic chevron-shaped logo, but they weren’t looking for something that would be too heavy-handed, “staring you in the face the entire performance,” they noted. 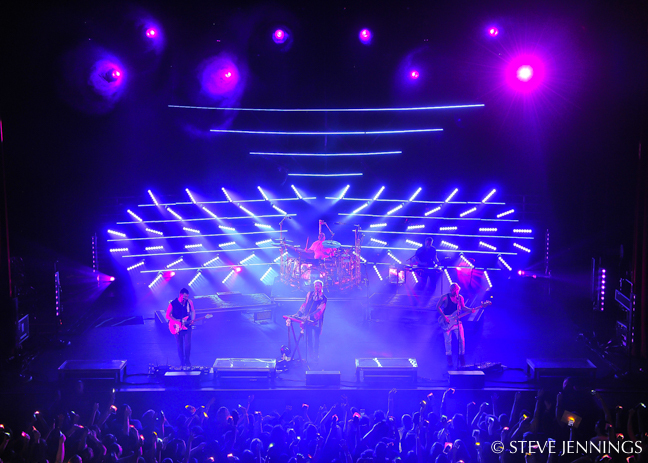 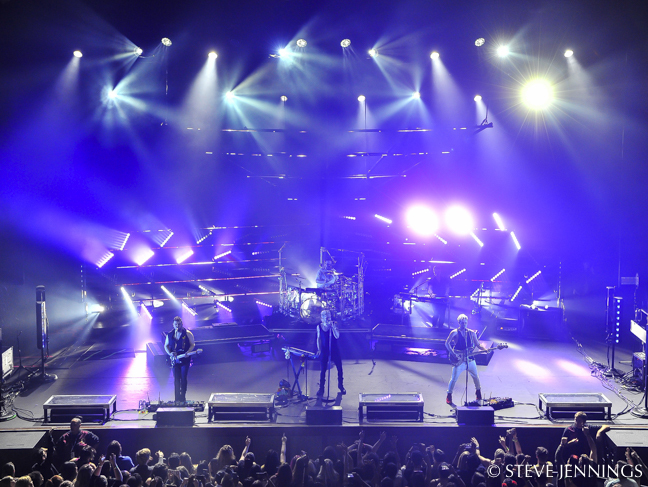 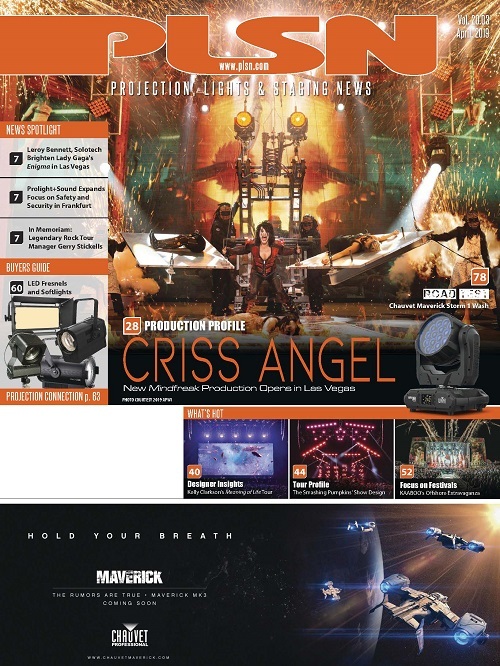 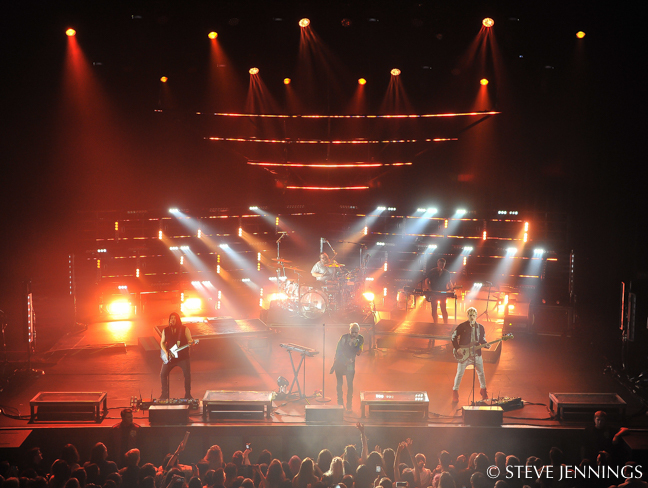 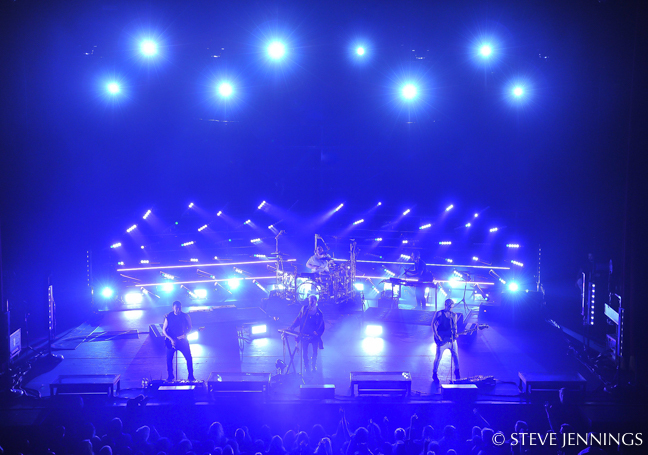 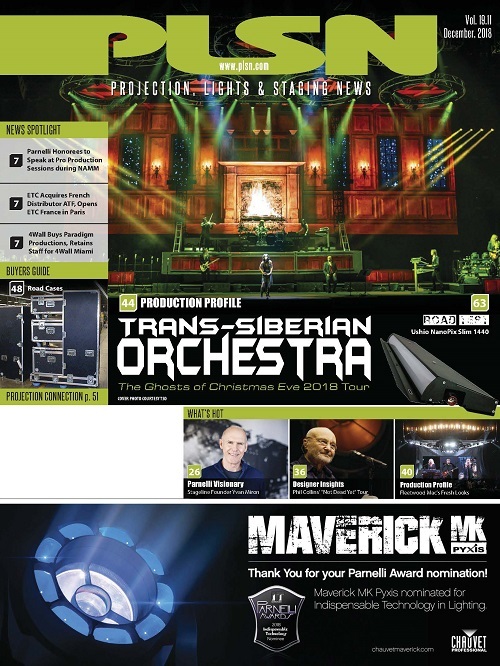 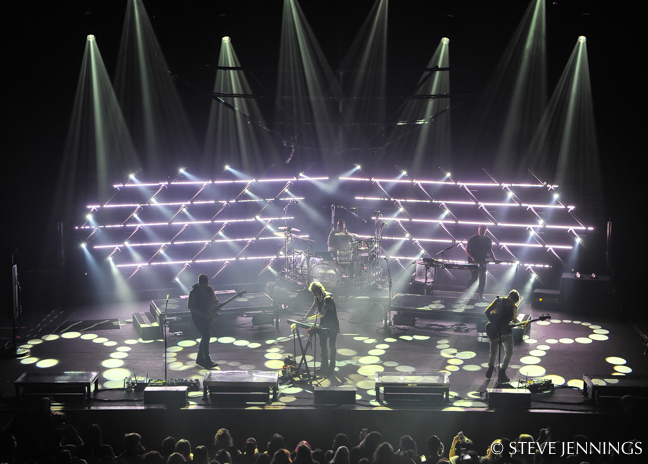 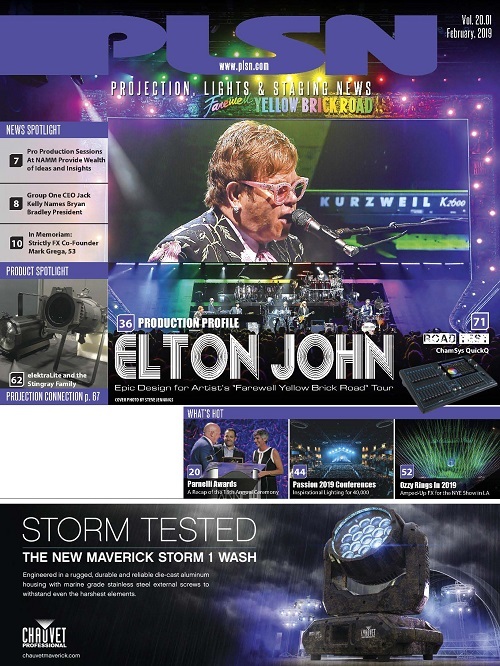 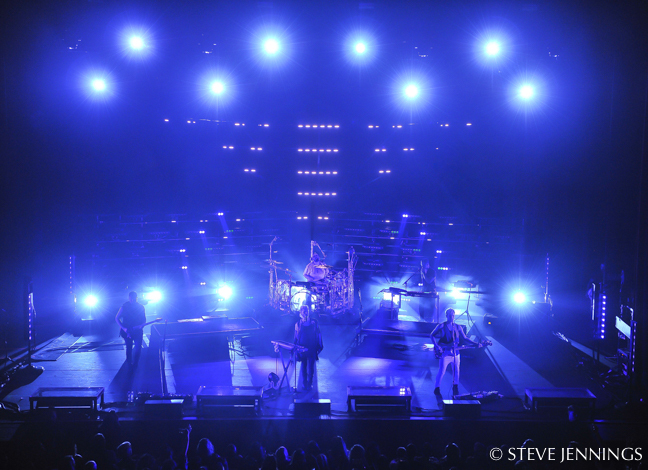 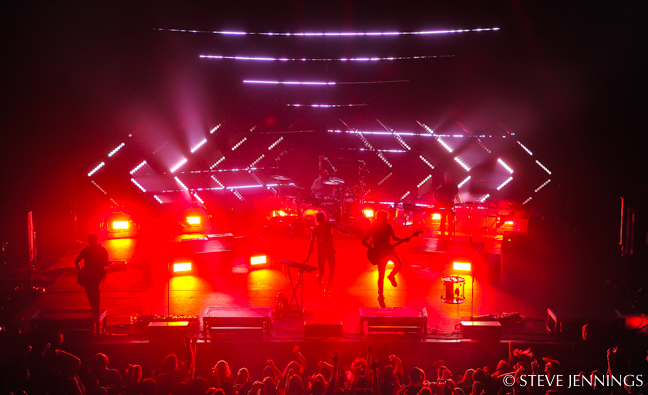 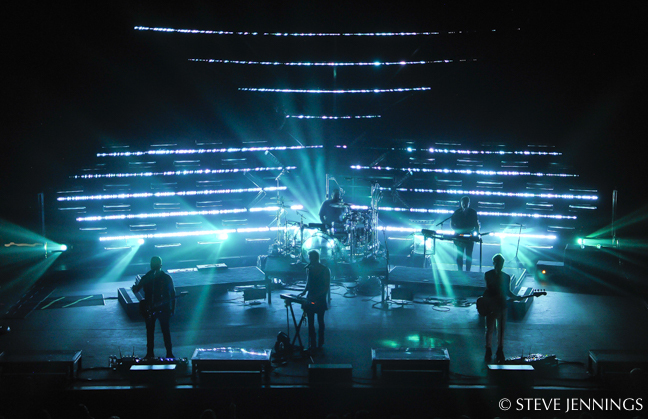 “From this desire came a linear world, outlined by the Magic Blades and Sceptron lighting fixtures, and where at various points into the show, they morph into the iconic Chevron in different permutations,” they added.